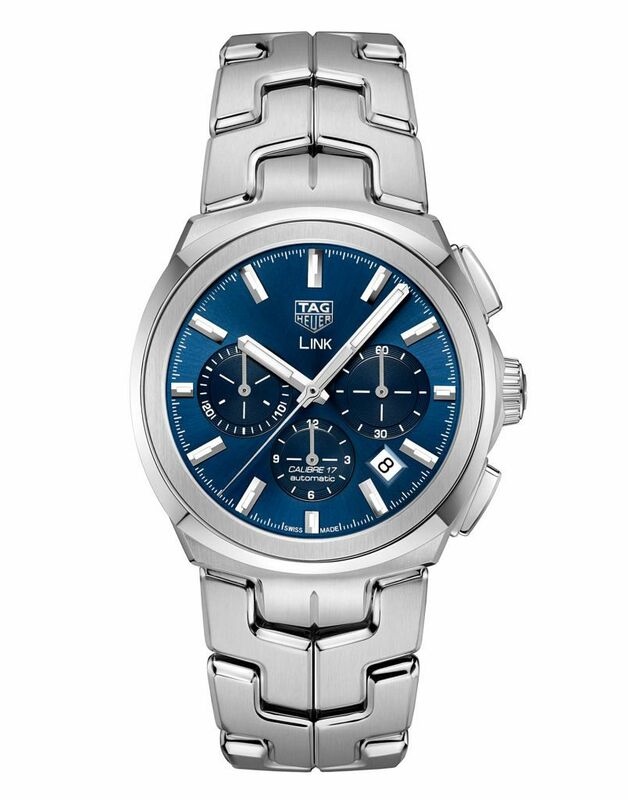 Last year, I went hands-on with the sleek three-handed TAG Heuer Link, which saw itself revived into the men’s collection after letting the ladies Link have the first turn in 2016. While the makeover leaned more towards the elegant side of the Link’s sporting elegance roots, this year sees a sportier return to the collection, with the introduction of a tri-compax chronograph. Featuring a sunray dial of either black or blue, there’s an angled date window at 4:30, accompanied by a small seconds subdial at 3 o’clock, a chronograph minute counter at 9 o’clock, and an hour counter at 6 o’clock. With all three cross-hair-centre subdials finished in a light-reflecting snailed pattern. 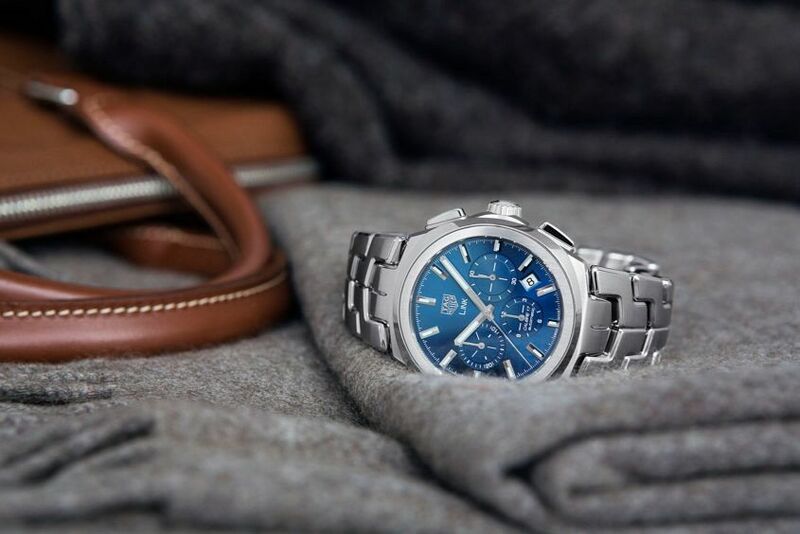 However, regardless of the extra information, surrounding the open dial is the same 41mm stainless-steel case that sits somewhere between round and cushion-shaped with a water resistance of 100 metres. Its two-part bezel, made up of four subtle corners that are contrasted by a satin-brushed circle on the inside, and soft curves that gently transition into the famously ergonomic (and silky smooth) S-shaped linked bracelet, foregoing the need for lugs. Only now, flanking either side of the guarded crown are two elongated pushers that control the Calibre 17 chronograph movement inside. A modular chronograph based on top of the ETA 2894-2 with a power reserve of 42 hours, and a robust choice which we’ve seen in other TAG Heuer models, from the Carrera to the Monza. 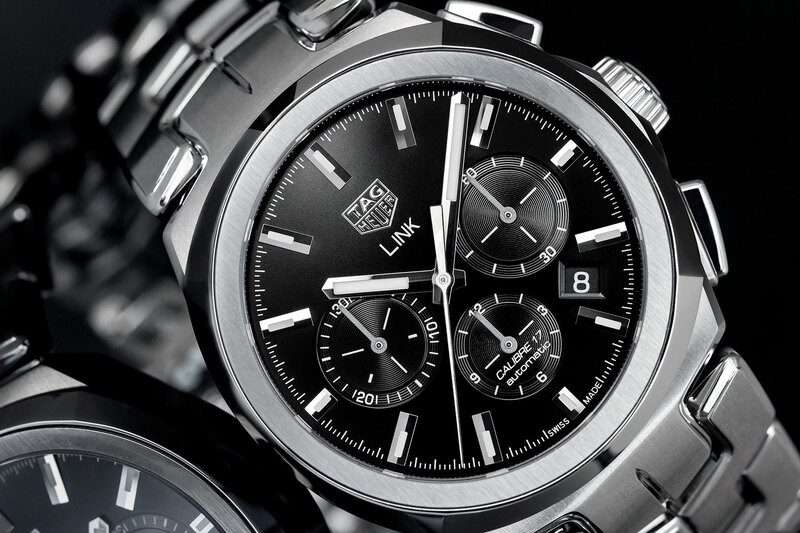 This latest addition should come as no surprise to anyone who knows TAG Heuer. The manufacturer has produced some of the most iconic chronographs in history and has continuously done so for more than 150 years. Nonetheless, I can’t wait to check this one out in person at Baselworld this year.